← Street Art in Prague: Deja Vu? I took the metro to go see this famous icon building. I love taking public transport in other cities, to get the feel of how the people who live there get around. It was also nice to go to a completely different neighborhood. There is a restaurant on top and a little bar cafe on the first floor with a sign saying if you want access to the terrace and view all you need do is buy a drink. It was a grey, cold day, but still the building didn’t seem to be holding up well. 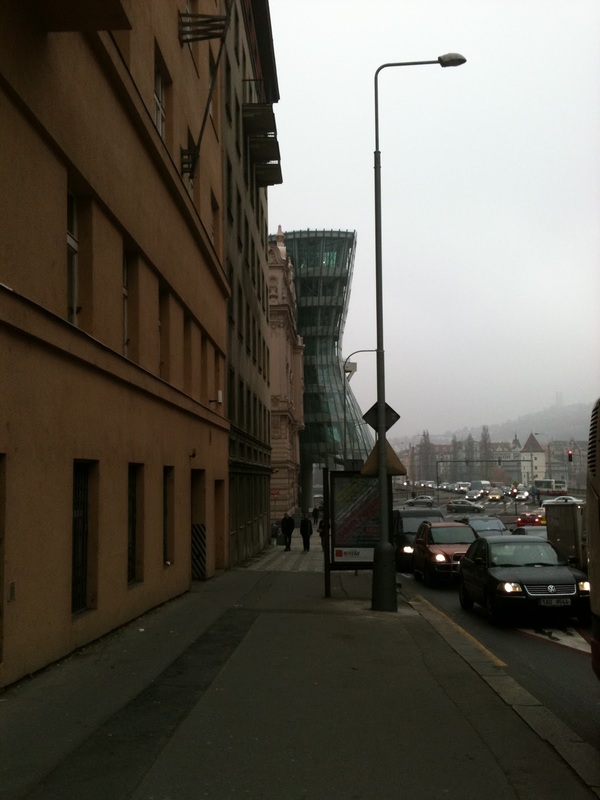 Kind of dilapidated and interesting more because it is so unlike everything else in Prague…..mostly it just looks dated to me. 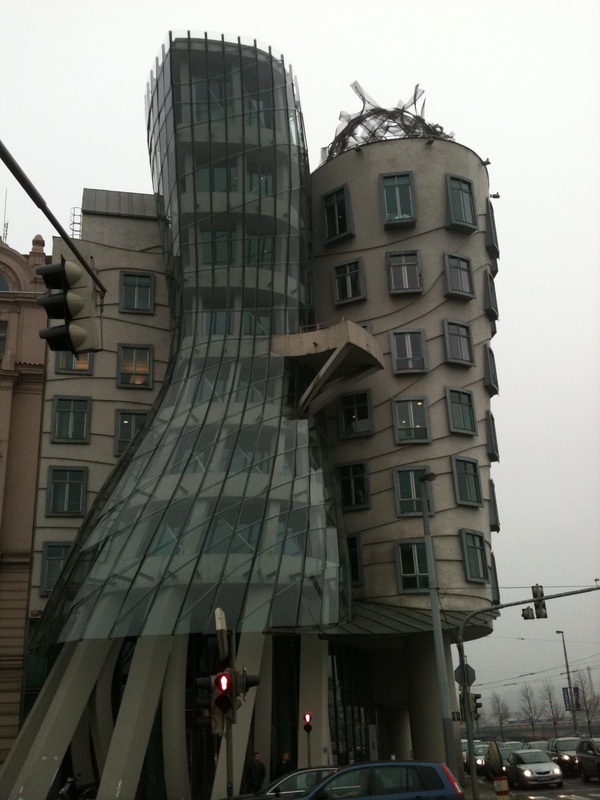 I’m a big Gehry fan so was a bit disappointed with Dancing House. Still it is on the river and a wonderful neighborhood to go to. The National Theater is just up the street. 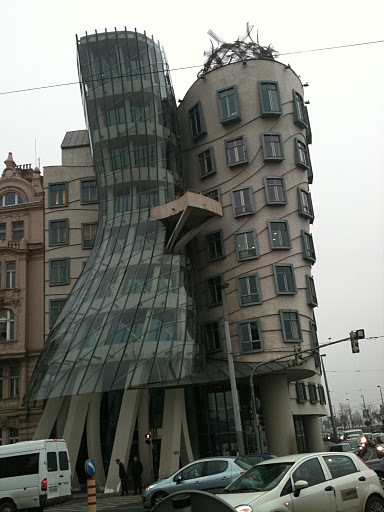 This entry was posted in Travel and tagged Architecture, Dancing House, Frank Gehry, Prag. Bookmark the permalink.